Precocious and versatile, Kathleen Hale established herself as a member of the artistic circle of Fitzrovia while still in her twenties. However, it was marriage and motherhood that engendered her most immortal creation, Orlando the Marmalade Cat, and his adventures – which were first told to her sons as bedtime stories. 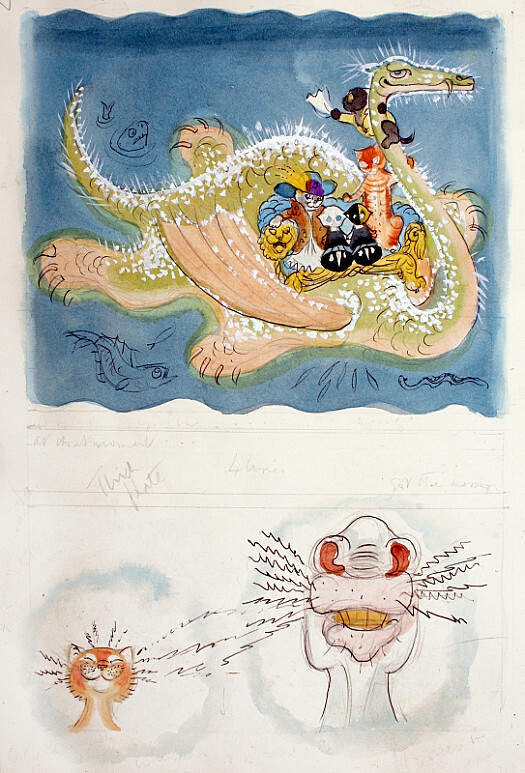 The artwork and its reproduction for the first published stories set a new standard for children’s illustrated books when they appeared in 1938. Kathleen Hale was born on 24 May 1898 in Broughton, near Biggar, Lanarkshire, Scotland, where her parents had a holiday home. She was brought up in a select suburb of Manchester until the death of her father, a travelling agent for Chappell pianos, when she was five years old. Her mother then took over her husband’s job, settling Hale and her brother with relatives. From the age of nine, she was educated at Manchester High School for Girls. During her last year there, she was sent twice a week to life drawing classes at the Manchester School of Art. She won a scholarship to study art at Reading University, where she studied under Allen William Seaby (1915-17). The college farm of the university gave her many first-hand experiences of animals, and these influenced her later work as an illustrator. In 1917, Hale moved to London, determined to be an artist, and lodged at the Baker Street YWCA; there she met Meum Stuart – the favourite model of Jacob Epstein – who introduced her into Bohemian society. In order to make ends meet, she took various jobs, including the transportation of fruit and vegetables (as a member of the land army), the care for children and the collection of debts for a window cleaner. In 1919, she won an open competition for poster design and, as a result, became secretary to the competition’s judge, Augustus John. He encouraged her to exhibit pencil drawings that she had produced in Etaples, France, alongside her lover, the painter, Frank Potter. 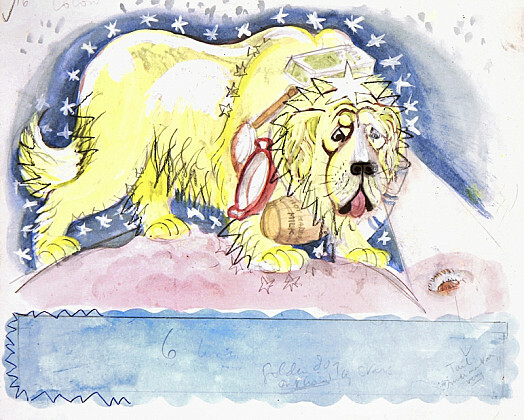 They sold well at the Grosvenor Gallery and the New English Art Club and were reproduced in a number of art journals. She began to receive a wide variety of commissions, and became a part of the artistic circle known as Fitzrovia. Though Hale fell in love with the 66-year old doctor, John McClean, in 1926, he encouraged her to marry his son, the bacteriologist, Douglas McClean, and this she did, mainly out of friendship and the desire to have children. Having gained greater financial security, she studied under Bernard Meninsky at the Central School of Arts and Crafts, taking formal lessons in oil painting for the first time. She also experimented in collage and assemblage, exhibiting her results in department stores and at the Lefèvre Gallery. Gaumont films even made a feature on this work. After the birth of their first son, Hale and her husband decided to move away from London. In 1931 they bought a large house at South Mimms, Hertfordshire, which was to be their home for the next thirty years. 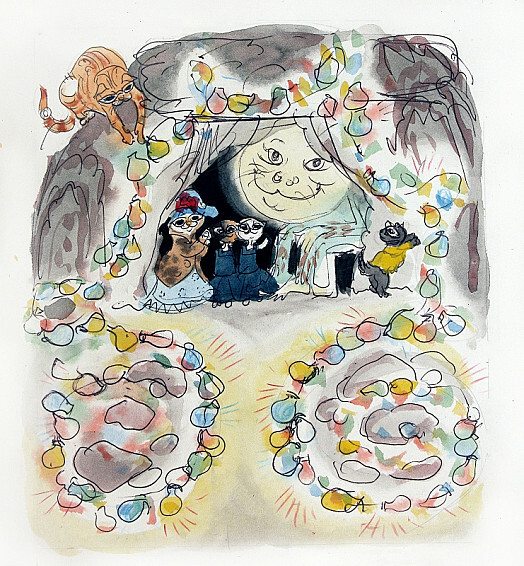 Hale began her most famous project, the adventures of Orlando the Marmalade Cat, as bedtime stories for her sons. The first two of eighteen adventures – A Camping Holiday and A Trip Abroad ¬– were accepted for publication in 1938 by Noel Carrington, the editor of Country Life publishers. Taking rudimentary training from the printing firm, Cowells of Ipswich, Hale prepared the lithographic illustrations herself. Orlando soon proved to be very popular, and became the subject of programmes on BBC Radio’s Children’s Hour, both a ballet and a mural for the Festival of Britain (1951), and a number of products. The last adventure of Orlando appeared in 1972. Four years later she received an OBE for her work as an illustrator. Throughout this period, Hale had continued to work as a painter. During the war years, she had spent time with, and taken lessons from, her friends Cedric Morris and Arthur Lett-Haines at their school of art in Suffolk. (Indeed, she had an affair with the bisexual Lett-Haines at the suggestion from a psychoanalyst that it would break her ‘artist’s block’.) She exhibited with societies and dealers, including the London Group and the Leicester Galleries, and also sold oils through an antiquarian book dealer, Stevens and Brown. In 1972, she shared a show at the Grafton Gallery with Catherine Carrington, the wife of Noel. She received an OBE in 1976. Living in Oxfordshire from 1961, Hale published an autobiography, A Slender Reputation, in 1994. She died at Abbots Leigh Nursing Home, Clevedon, Somerset, on 26 January 2000, at the age of 101.